Mary Ann Archibald: #SuperBowlSunday - "Right Now, I have Everything I Need"
#SuperBowlSunday - "Right Now, I have Everything I Need"
I painted this last year (2016) but can't remember if I blogged about it or not. When people see this painting, they often comment about the big bowl ("the super bowl"). 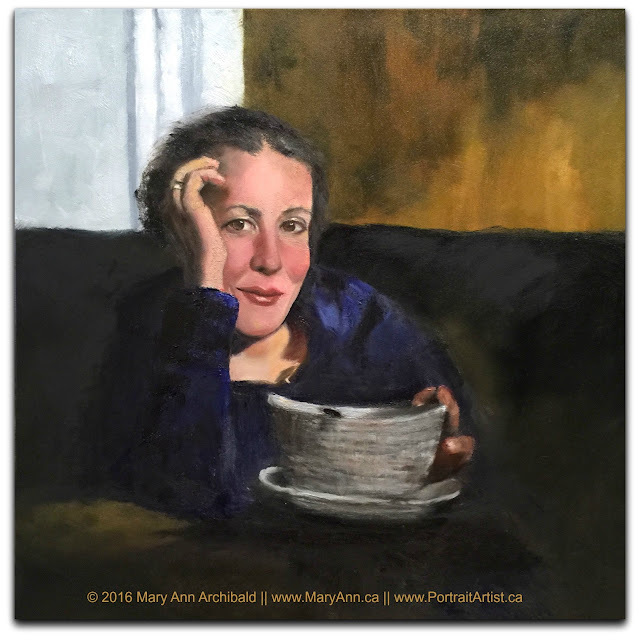 The bowl is part of the inspiration for the title of this painting entitled "Right now, I have everything I need." The emptied bowl represents a full tummy and a moment of feeling satisfied after the effort of earning one's keep. The title is a phrase, an affirmation, I saw taped to a friend's refrigerator a number of years ago that stuck with me. I felt that this painting offered an opportunity to express that idea. "Right now, I have everything I need"